Rudolph Valentino the celebrated young dancer who has the leading male role in “The Four Horsemen of the Apocalypse and in “The Conquering Power” Rex Ingram’s productions, found his way to fame and fortune through his nimble feet. Things happened swiftly for him in New York. Soon he was busy teaching Broadway’s regulars his graceful steps. He appeared at Rector’s as a dancing partner of Bonnie Glass. Following this engagement with one in the Winter Garden and a long term contract in Vaudeville. Valentino’s first picture appearance was with Mae Murry in “The Big Little Person” and “The Delicious Little Devil”. He appeared in numerous other pictures including “Eyes of Youth”, “Man-Woman Marriage. When Rex Ingram began casting for a suitable player to enact the difficult role of Julio of “The Four Horsemen” he immediately sought Valentino. His splendid portrayal of the part, caused him to be selected by Madame Nazimova to support her in the product of “Camille” in which he appears in the role of Armand. 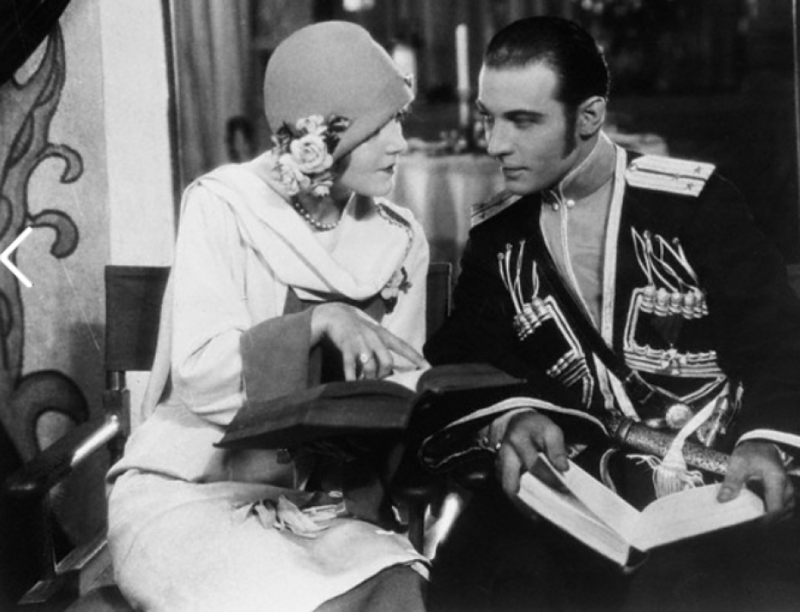 In “The Conquering Power” which was adapted by June Mathis from Balzac’s “Eugenie Grandet” Valentino portrayed the dandified hero, Charles Grandet.